In the past, selecting players to go to the STRAA and the Palarong Pambansa was a headache for coaches. In a way, I was fortunate in that for most of the more than two decades that I brought high school football teams to what was then known as the Southern Tagalog Regional Athletic Association (STRAA), I was left pretty much alone in deciding who the players were that I brought along with me. This was because I enjoyed the trust and respect of both the Superintendent of the Department of Education’s Lipa City Division Office as well as the Physical Education Supervisor at the time. Suffice it to say that this was not always the case. In fact, in my very first year to qualify for the STRAA which was being held in Lucena City in 1983, I was told that I had to take along three players from the public school team that we defeated in the Division Meet. I had no objection per se to taking along players from other teams to the STRAA since there, we would be representing Lipa City, anyway, instead of the school we represented at the Division Meet. What I objected to was that I was being told to do so and that seemed arbitrary rather than logical. If I understood things correctly, this practice aimed to assure that participating schools in the division were reasonably represented in the regional meet and also to prevent coaches from abusing discretion by taking along only players from their respective schools. I always had a problem with this. First of all, it went without saying that the winning coach, in whatever the sport, was the best in the division at least for any given season. Therefore, his or her judgement had to be trusted by the division’s officials in the selection of players that he or she wanted to take along. If the objective in going to the STRAA was simply to participate, then fine; there was no problem with creating selections that were truly representative of all the schools in the division. However, who went to the STRAA simply wishing to visit the landmarks of the host city? Of course, the city’s delegation officials always wanted to win, too! Thus, politicising the selection system was no help at all in trying to win championships at the regional level. If at all I wanted to bring along players from other schools, it was only if these were an improvement over the players that I already had in my own teams. Even if the other schools had players better than the ones that I had, there was no guarantee whatsoever that they could adapt to our playing patterns, which my own players took months to learn. Whatever training period was allotted prior to leaving for the STRAA was never sufficient for new players to blend in. That STRAA in Lucena in 1983, for instance, I had to leave behind better players just because three from the public school were being shoved down my throat. This made no sense to me at all; but I was young, new to the STRAA and had to do what I was being told. After we were beaten in the semi-final, because I was still young and temperamental, I let fly a few acid words aimed at the boys who we had to take along. I made no effort to hide my disappointment at their contribution and reminded them if they did not already know that they were there only because I had no choice. My 1988 STRAA-winning team was very strong; but we had to leave behind players for the Palaro. It was good for him to hear what I had to say. Perhaps, he was hearing for the first time an alternative point of view to the selection system at the time. 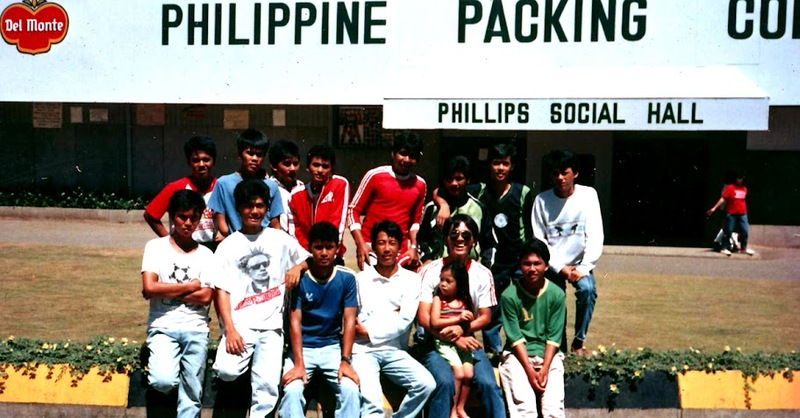 The only time that I took a team to the Palarong Pambansa was in 1988. It was the last time that I ever wanted to go since politics took over again in the matter of team selection. In 1988, football in the Southern Tagalog Region was still fairly underdeveloped; and my high school team was head and shoulders above all the other teams that participated in the STRAA. In fact, we defeated a rival province in the final by 4 goals to nil without hardly ever having to break sweat. To my chagrin, I was told that I had to take four of their players along to the Palarong Pambansa. The team that we defeated was just above intramurals level at our school, capable of playing basically just kick and rush football. My players, on the other hand, had experience in the Rizal Football Association and the National Coke Go-for-Goal. It just seemed totally unjust that I had to leave my own players to accommodate the region’s wishes; but what could I do? Worse, the four could not even train with us and could only join us when we were ready to sail for Cagayan de Oro, where the Palaro was being held. I was able to take a really good look at them only when we arrived and felt totally annoyed to see that only one was usable. What was the point of sailing 36 hours to a strange city when all our own region ever succeeded in doing was to weaken us? Since only 14 players were allowed per squad, I basically had no substitutes to call on. We were tourists after two matches and to this day, I still wonder what we could have achieved had I been allowed to take along my strongest possible squad. In fairness, we enjoyed the sights. On the other hand, we went there supposedly to compete. Having been eliminated from the Palaro early, we enjoyed being tourists. In the ensuing years, thanks to the open-minded approach of the Lipa City Division, I was given full authority in deciding who I took along to the STRAA. It helped that we were defeating rival schools in the division frequently by volleyball scores; and I was really damned if I took along players from a team that we just defeated by 15-nil. Had anyone tried to strong-arm me, I would have happily declined to participate. If I played in a tournament, I always did so with the knowledge that I had a chance of winning; else what was the point. If anyone wanted to remove that chance, he or she was welcome to send instead the team we defeated at division level.